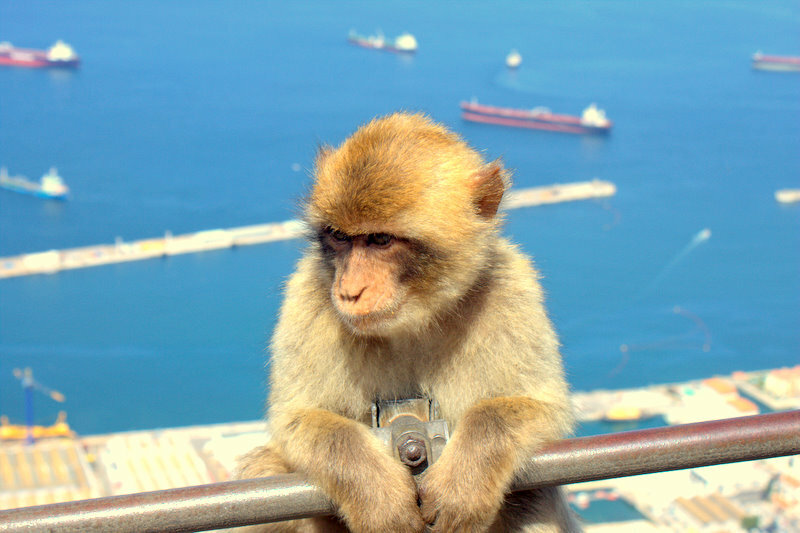 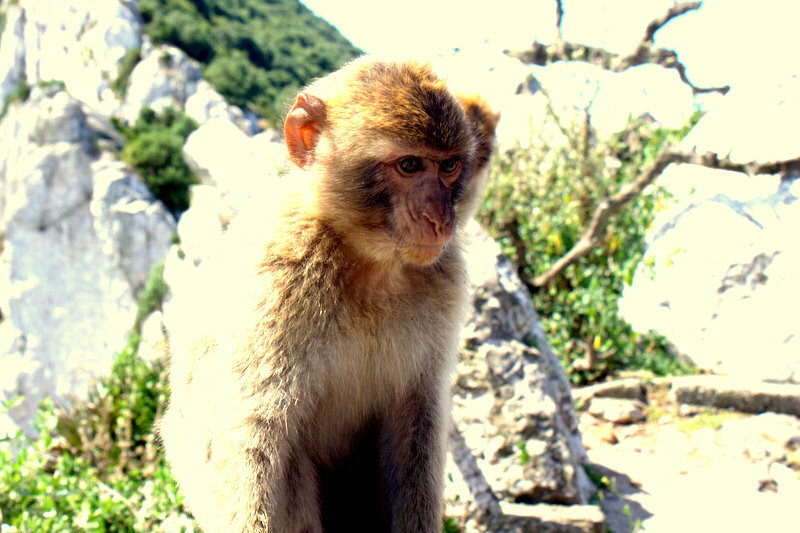 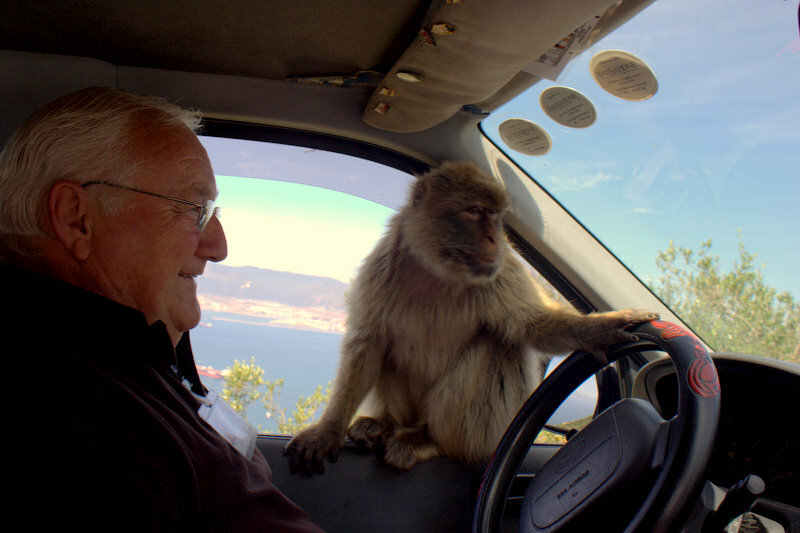 Gibraltar is home to Europe’s only free-living monkey, the Barbary macaque. 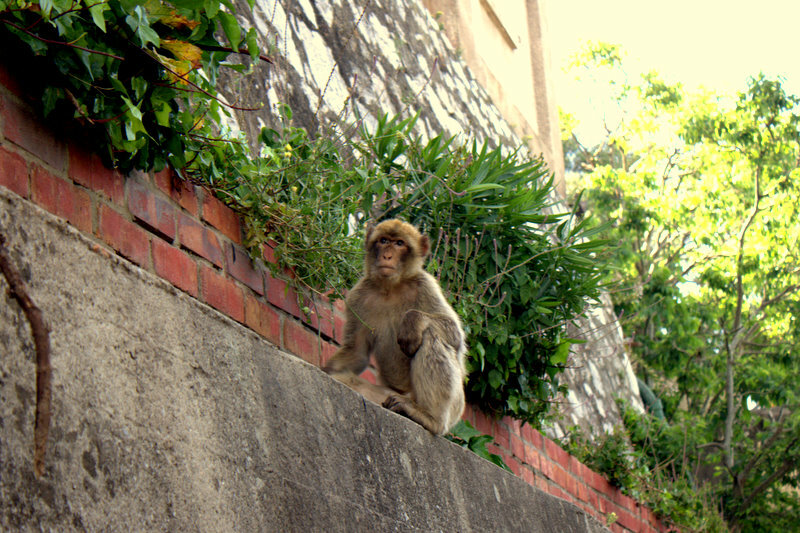 300 or so of these animals live freely on the slopes of the rock of Gibraltar and are thought to have been brought to the area from Africa by the Moors during their occupation of the Iberian peninsula. 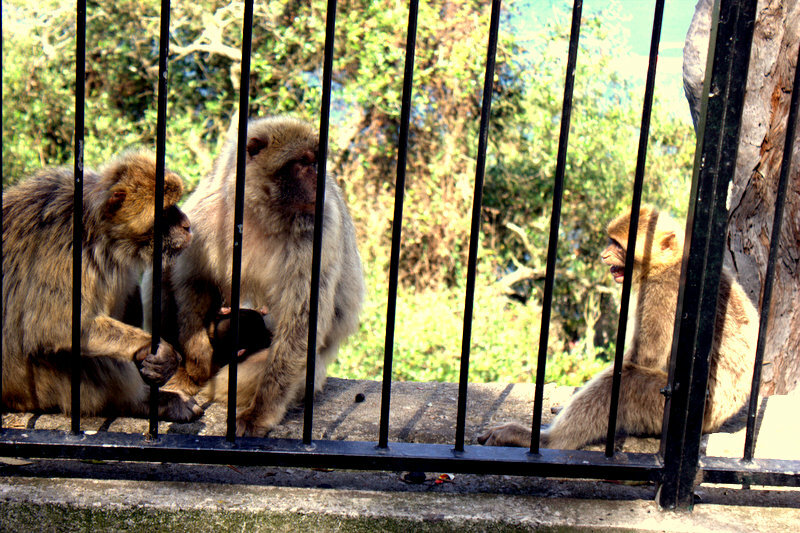 Some of the young macaques are rather witty and playful and will jump on one’s shoulders to pose cheekily for the snap of a camera shutter. 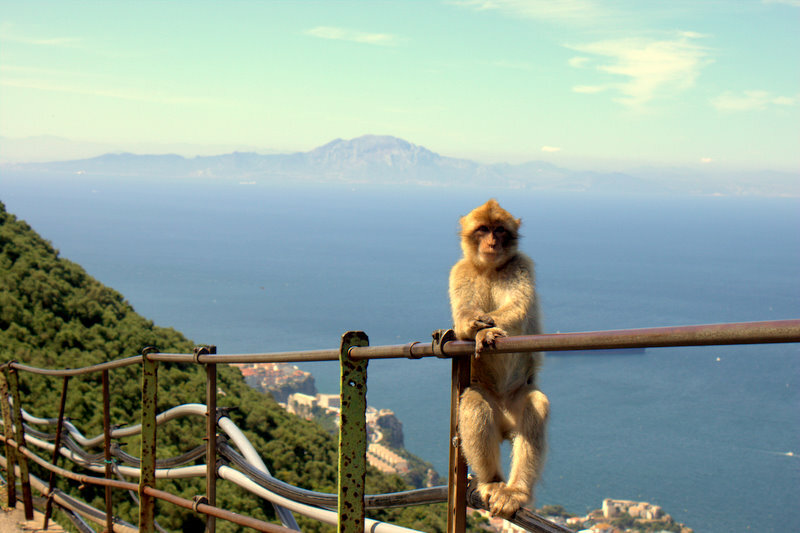 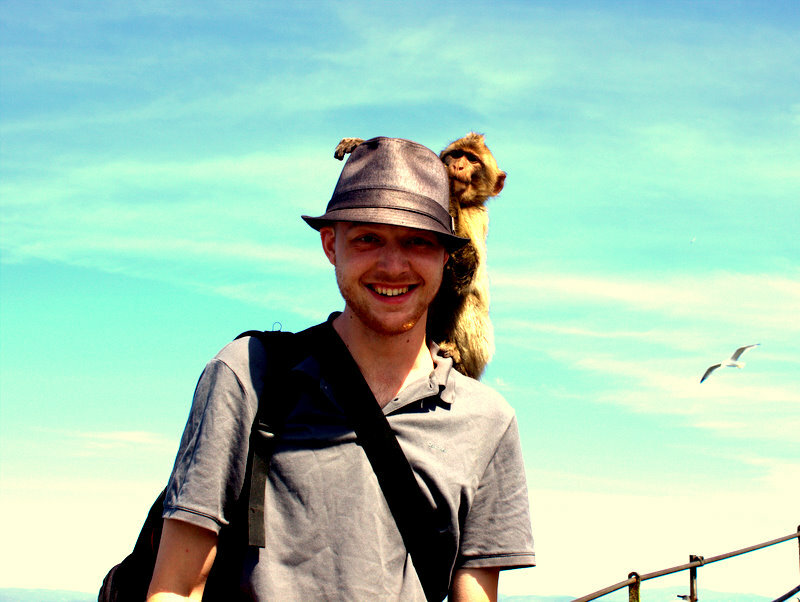 I was deeply endeared by the affection these creatures displayed towards us during our stroll along the upper rock overlooking Ceuta and the Atlas mountains. 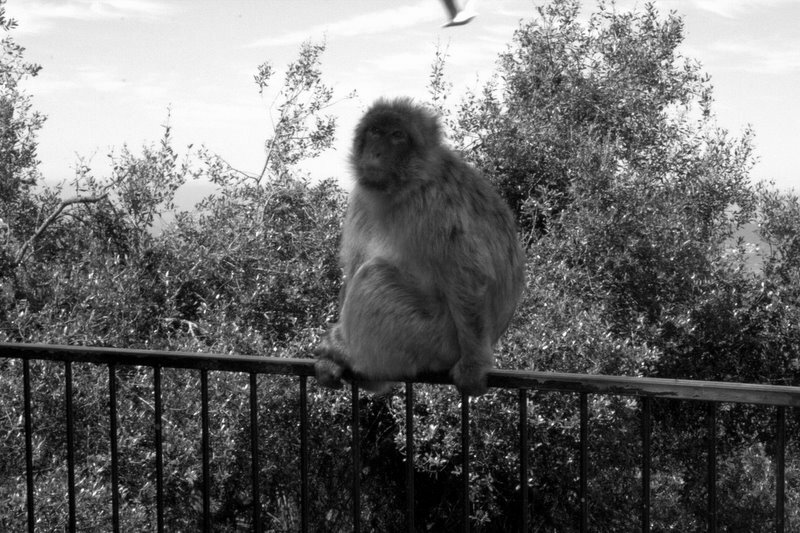 Seagulls are also aplenty in Gibraltar, and their cries and fluttering wings decorate the soundscapes and patchwork of the warm nights. 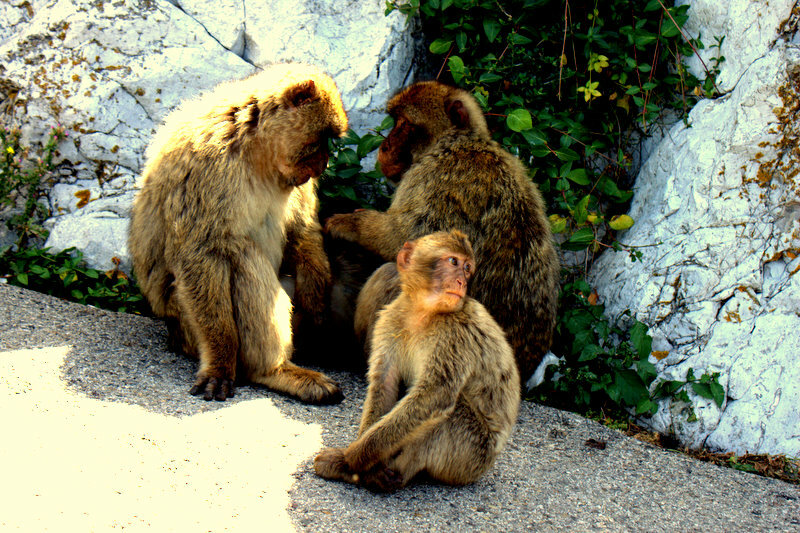 Like their primate contemporaries, they too are amicable and frequently display overt affection towards human beings, as the last picture in this set demonstrates. 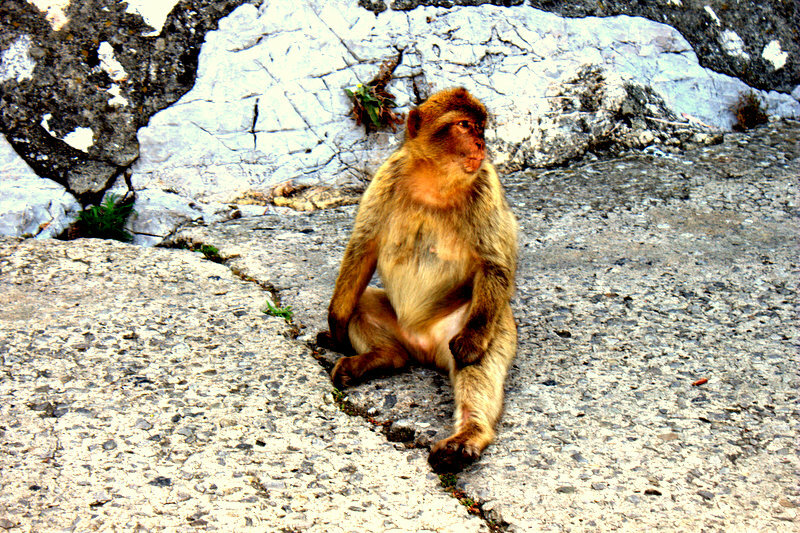 ← The Second Gulf war: A liberated Iraq ?